EEFI – Information about us that we don’t want outsiders to know. OPSEC- Measures we take to protect EEFI. Spillage – a loss of OPSEC that allows EEFI to be revealed to outsiders. Notice I didn’t use the term threat this time instead substituting it for the word outsiders? Why? In the simplest terms there are different levels of EEFI and there might often be information that we don’t want others that are not threat to know – more on that later. Please take a moment to look at the diagram below as I’m going to refer to it frequently during this entry. What I’ve done is identified four very basic levels of information awareness (who knows what). Those levels are Family, Tribe, Other Friendly Tribes (and other entities) and the Rest of the World. Those are pretty straightforward categories and you may have more. I’m going to work through these four categories and give some examples of what I consider information that should be held at which level. I’ve arranged this little diagram from the center outwards to depict the level of information sharing with what I consider the most shared info at the center and the least at the outside. The critical concept I want to depict is that as a general rule any EEFI either generated or relevant information at any given level should never flow outwards – only inwards (there are instances where there’s probably going to have to be a few exceptions – as stated below). Not only that but the fidelity of the information might change as it drills down towards the center. Also note this diagram represents only the view for a single family. 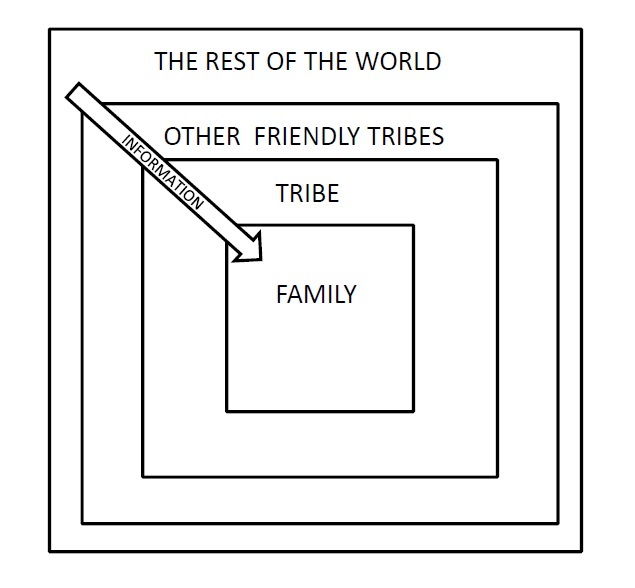 There should be multiple family boxes inside the tribe box and possibly multiple tribe boxes inside the friendly tribes box. So what kind of info are we considering at any given level? Honestly that’s for you to decide. I feel it’s fairly dependent of how your family and tribe interacts. At a minimum I suggest you keep anything specifically relating to family and preparedness (food, fuel, stock, GnA, etc.) inside that family box. There’s going to be instances where you’ll probably have to share some of your family info with the Tribe – try to filter it if at all possible (that’s an exception to our general rule). As an example specifically at the tribe level if a family is suffering from a food shortage that information might have to be brought up to the tribe level of sharing. The fidelity and level of of that information is based wholly on your tribe dynamic (how you interact). Is there a requirement for everyone at the Tribe level to know that information? Probably not. It’s generally a good idea that once information flows outward it’s in a controlled as possible manner with as few folks knowing it as possible – and even then the fidelity of the information pertaining to the issue should be contained to those with a “need-to know”. This is an example of a necessary controlled spillage. Referring back to our diagram there’s another point to be made – information sharing about the next outside level increases as you move outward on the diagram – i.e. as much possible information about the Rest of the World should probably be shared freely with Other Friendly Tribes and entities. Now let’s focus down to the tribe level and complicate things a bit. Bonds between some families within your tribe will no doubt be stronger than others. It could be due to marriage (Bill’s son David married Joe’s daughter Gail), familiarity, proximity, etc. So it’s safe to assume a greater level of information sharing at a more intimate level between those families than they and other families within the Tribe. On to addressing the substitution of “Threat” with “Outsiders”. IMHO at any given point after SHTF people and organizations as a group will evolve. For example – let’s say the tribe down the road is friendly one week after things go to hell. Two months later they are running out of food and you have plenty. If they are aware of it and hit your tribe up and you all decide not to assist then that group most likely will move into Threat status – a threat that will become greater as it becomes more desperate. Same thing with the authorities. Immediately after STHF they may be attempting to assist whomever they can. Then perhaps they get the order to begin resettlement ops. I dunno about you but that just moved them from outsider to threat in my view. As stated it’s all dependent on your Tribal dynamic. That’s why I recommend little to no information sharing with “outsiders” – pretty much common sense. BUT like everything else there may be an exception to the “outsiders rule”. Maybe Bills daughter married and is a member of another Tribe (in this case you’re dealing with an entity and not the whole Tribe) we mentioned and struggling. Bill is probably going to help her. This is an instance where retaining EEFI at the family level is critical. Let Bill help her but as a Tribe should you and yours? Once again it’s all dependent on your Tribal dynamic. Another point I would like to bring up is sharing information about other Tribes and entities. Once again your call but I would hesitate to discuss information about another tribe with an outsider. Don’t endanger their well being unless they are hostile to you – you very well may need their cooperation later and if you sold them down the river they’ll just laugh at ya. Regarding the difference between the “Other Tribes and Entities” and the “rest of the World”. Whom/what goes where? That once again is up to you and based on your current situation. It may evolve and elements will probably move in and out of those two categories. Expect proximity and that elements efforts or intentions to dictate a lot of that movement. 1. Information about the family should stay at the family level unless it’s an emergency. 2. 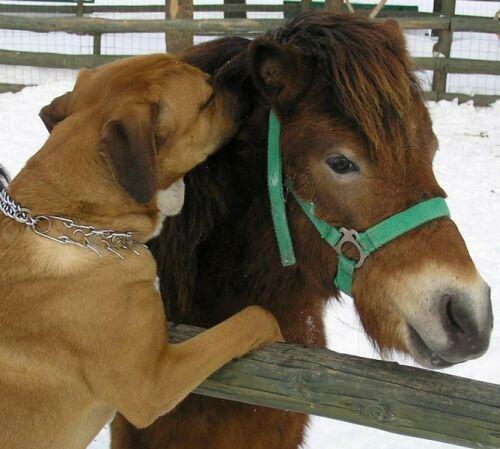 We don’t talk about anything relating to the Tribe to outsiders. 3. All information about “Outsiders” and “The Rest of the World” is shared freely within the tribe. 4. Information about other tribes and entities doesn’t get shared outside of the tribe. 5. Information about the rest of the world gets shared freely. FAILURE TO CONTROL EEFI SPILLAGE BY FAILING TO IMPLEMENT OPSEC PUTS YOUR TRIBE (AND FAMILY) AT RISK. This entry was posted in Building and Developing Tribe, Security Planning, Situational Awareness. Bookmark the permalink. Nicely continued sir. Not to add to your list, but under your stuff one doesn’t want outside the tribe an example would be the list of what you don’t know/would like to find out about outsiders/ROTW. Call ’em PIRs, or simply knowledge that makes you stronger. But things that your tribe would reeeally like to know would best be kept to tribal distribution, lest one pop a flare on some capability or lack thereof. Once that info is gathered it can be shared tribally if it doesn’t impinge on some critical family matter. Badger, we’re going to cover that when we get to developing the threat picture. I figured it’d be better addressed there to contrast with known/suspected threat capabilities and how it’ll evolve as the tactical situation changes. Things like PIRs, NAIs, TAIs, SIGINT, etc will all be covered from both a gathering and OPSEC standpoint. While most of us with .mil history understand OPSEC & EEFI. The full blood civilian will most likely have to have a harsh life example to fully understand it and it’s ramifications. some things have to lernt thru living. FYI, EEFI has been replaced a number of years ago by Critical Information (CI). SSDD. Sort of like replacing “Terrorism” with “Man Made Disaster”. Agree with SSDD. In current work, in a situation a friend describes as “the belly of the beast” EEFI and CI are 2 different things – these morph and the newly minted Major who forces a change in the lexicon will get his Legion of Merit and move on. My view is that as long as the specifics of the vocabulary are defined & stuck with it matters not that G changes them every 16 months.